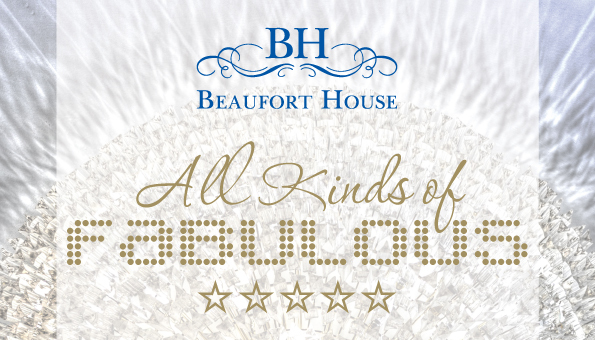 Beaufort House Chelsea is delighted to announce the return of our hugely popular evening of live entertainment, All Kinds of Fabulous, in collaboration with Emma Bartholomew PR. Our MC for the evening will be the truly wonderful Tom Toal , and our first act for the night will be the massively talented Mark Cram. Once we’ve stopped laughing after our first act, we will then be put in stitches all over again when Kate Lucas takes to the stage. And we end the night with a bang as, back by popular demand, are the hugely entertaining Modern Jesters. In their own words, Jonny and Tim are, “Made from good stock, and dabble in the art of entertainment”. A fantastically entertaining music act, incorporating a healthy dose of clever humour, creating a hilarious and hugely engaging result, much of which is drawn from ingenious improvisation using material from the crowd. General admission is £15 per person, which is fully redeemable against a 2-course dinner from our special Cabaret Menu on the evening. To book contact the Events team on 020 7352 2828, email merlin@beauforthousechelsea.com, or book HERE.